How amazing is the Margot necklace from Kendra Scott's Mystic Bazaar collection! This black tank totally reflects the beauty of the necklace. These sunglasses look like this pair of Prada sunnies and they are only $20. They were sold out before and just recently came back in stock. Definitely grab them before they are gone again. As for these cute and irresistible wedges, I just can't get enough of them and they have been on heavy rotation lately. 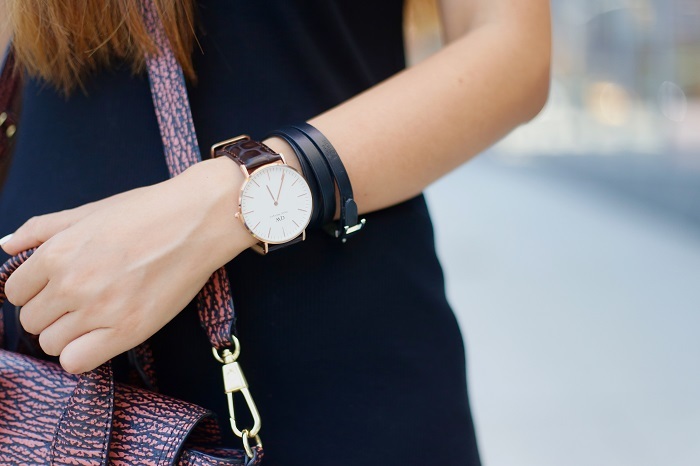 You girls can use code SHALLWESASA15 to get 15% off any Daniel Wellington watches from their site. Such a great look! love your Philip Lim bag! Very cool look. Cute hat. I'm loving your hat and wedges! Enjoy Lolla! Great outfit, but I am totally loving the wedges. I love your bag, the print is fun! Wow this look is very, very bold and you are rocking it. You look amazing! !